I just used apricots in a dessert too! they are so good right now. Our come from California so you must really have great ones. This cake and the compote look amazing... I love the bit of crunchiness of the cornmeal and the softness of the compote. A winner once again! This looks amazing. 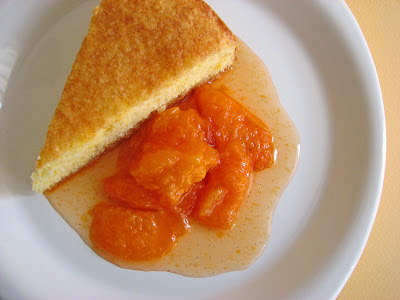 I love the cornmeal accent for the apricots. I cannot decide what's more beautiful - your writing or your photographs. 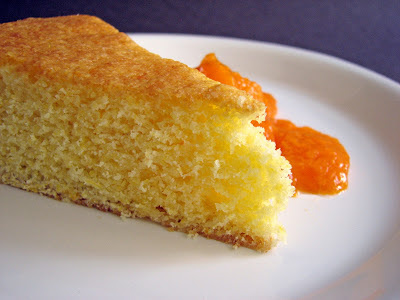 I don't think apricot season is upon us here in the northeast yet, but I will wait........and pounce on this recipe the minute I see (or smell - the scent of an apricot is heavenly) one. How lovely! You are so lucky to have fresh apricots on hand. Your pastry makes me envious that we won't have stone fruits for months in MN. I'll live vicariously until then. Tell me more about this ice cream! Thanks to everyone for your lovely comments. I really hope you get to enjoy some fun with apricots before the season ends. Lauren, Noyau Ice Cream is made from the kernals of the apricot pits. It's a very subtle taste of almond and it's exquisite. I'll be making some soon! Every year my dad and I (when I'm in his part of the world) pick wild blackberries near some railroad tracks. Typically, we make jam and a cobbler or two - this recipe sounds like it would go very well with those blackberries. Too bad I'm not near enough to go picking! Your photos are gorgeous! Those apricots are so beautiful and the recipe sounds delicious. Nice work! Oh, and peaches, I'm waiting for peaches. 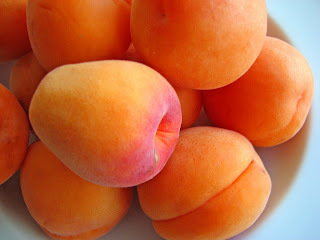 that picture of the apricots is beyond gorgeous. I love apricots and once they are available we eat lots, because like you said, the season is short. 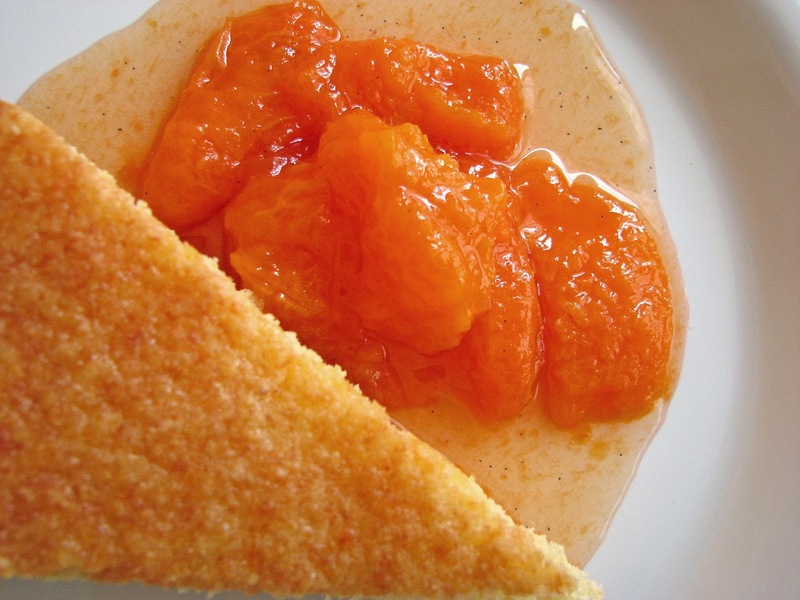 I think the compote with the cornmeal cake sounds fantastic. Sure looks like nirvana...I love it!